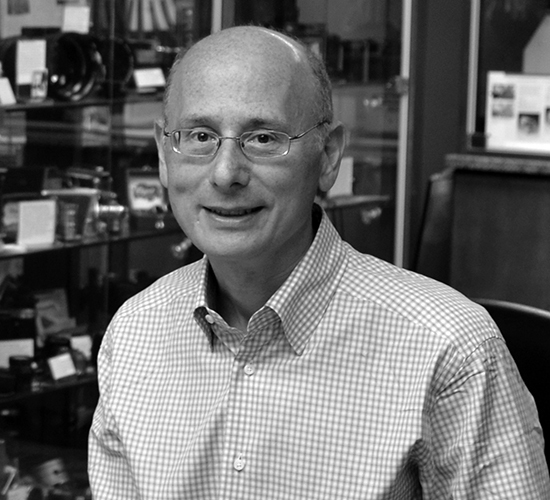 Mr. Julian Goldstein serves as Co-Chief Executive Officer and Co-owner of Navitar, Inc. He manages mergers, acquisitions, strategic development of new business areas, and long- range planning for the company. Julian is responsible for dealing with the company’s Bankers, Lawyers and Accountants. Julian began working at Navitar while still in high school under the wing of his late father, David Goldstein, founder and President of D.O. Industries (which later became Navitar). Julian attended college at Washington University in St. Louis, MO graduating with a BS degree in Finance. After graduating from college, he served an internship with Kowa Company in Japan, during which he developed an affinity for international business. Julian made his first trip to China in 1981 and has a deep understanding of Chinese business practices. In 1982, he was appointed Sales Manager for the Consumer Products Division at D.O. Industries and then promoted to Vice President in 1985. Julian was instrumental in building the company’s audio visual product line and establishing the domestic and international sales network. In 1988, Julian negotiated the company’s first acquisition with the purchase of BrightLight, Inc and led the development of Navitar’s entrance into the slide-to-video and electro-optical devices field. In 1991, Julian and his brother Jeremy purchased the company from their father and became co-presidents. In 1993, the company name was changed from D.O. Industries to Navitar, Inc. Julian continued to spearhead numerous acquisitions that shaped the future of company: 1997 – Buhl Optical Company, 1998 – GM Vacuum Coating Laboratory, 2008 – Special Optics, 2011 – Modulation Optics and Hoffman Modulation Contrast Imaging Technology, and most recently in 2017, the acquisition of PixeLINK Cameras in Ottawa, ON, Canada. He worked together with his brother Jeremy on the 2016 acquisition of Hyperion Development and AMF Optics. Julian led a very aggressive and successful legal fight in the Chinese Courts and local AIC offices over a recent two-year period against a Chinese counterfeiter of Navitar video microscope products (and their sister company) as well as 5 additional local Chinese firms that were falsely advertising Navitar products. In 2016, Julian received the Entrepreneur Award from Rochester Regional Photonics Cluster for demonstrating creativity, innovative spirit and drive in pursuit of the dream of creating an industry-leading company in the Optics, Photonics and Imaging Industry. For over 35 years, Goldstein uncovered industry trends and opportunities, spearheaded mergers and acquisitions, registered and enforced Navitar trademarks and patents world-wide, and invested in new product development to ensure Navitar’s success in meeting customer’s future needs. Now with over 1200 products, four manufacturing facilities, and 120+ employees, Navitar sells to organizations within the Life Sciences, Industrial Imaging, Metrology, Planetarium, Amusement, Automotive, Virtual Reality and Simulation markets and exports to over 50 countries.